Purity, exotic flavor, distinct fragrance and long grain- these are the factors which distinguish our 1121 Basmati Rice in the international market. Buyers are free to place bulk orders of 1121 Raw Basmati Rice with us. Owing to our efficient sourcing network, we have come up as one of the famed Suppliers, Importers and Exporters of 1121 Raw Basmati Rice from Madhya Pradesh, India. 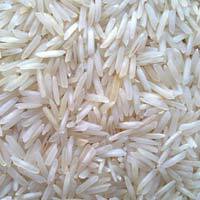 With the immense help of our adroit professionals, we are reckoned among the successful Importers, Exporters and Suppliers of Pusa Raw Basmati Rice from Madhya Pradesh, India. The cooked grains of Pusa Raw Basmati Rice are non-sticky and feature exceptional taste and aroma. Owing to our reliable logistics network, we are capable of delivering bulk orders of the finest quality Raw Basmati Rice within allocated time.